Dollar warriors huddle up! 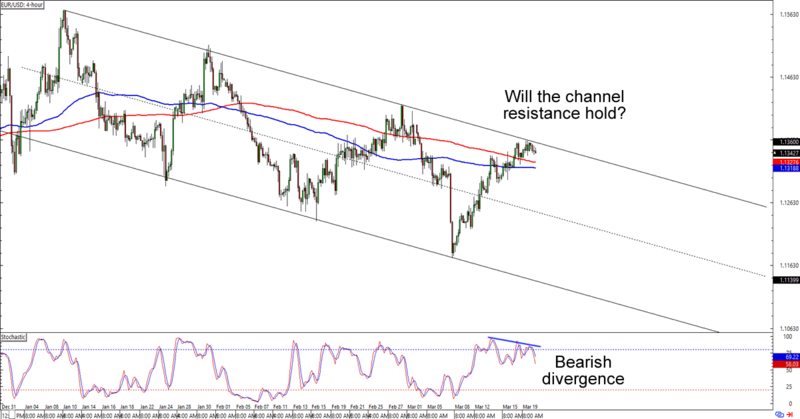 Today we’re looking at trend continuation trades on EUR/USD and USD/CAD. Which setup will you most likely trade? For the past couple of days we’ve been looking for the level where the bears would step in and extend EUR/USD’s downtrend. The 1.1350 area is one of the last levels to look out for, as a break above the zone would mean a break above the descending channel that has been keeping the bulls in check since the start of the year. What makes the setup more interesting is that there’s also a bearish divergence on the 4-hour chart. Think the euro will finally see bearish momentum? Or will the bulls succeed in pushing for an upside breakout? EUR/USD is currently consolidating below the 1.1350 mark though it hasn’t seen bearish momentum just yet. That means y’all still gotta wait for the pair to break its consolidation if you want the odds in your favor! Whichever bias you’re trading today, make sure you practice good risk management in your execution, aight? No use winning trades if you can’t keep them profits! 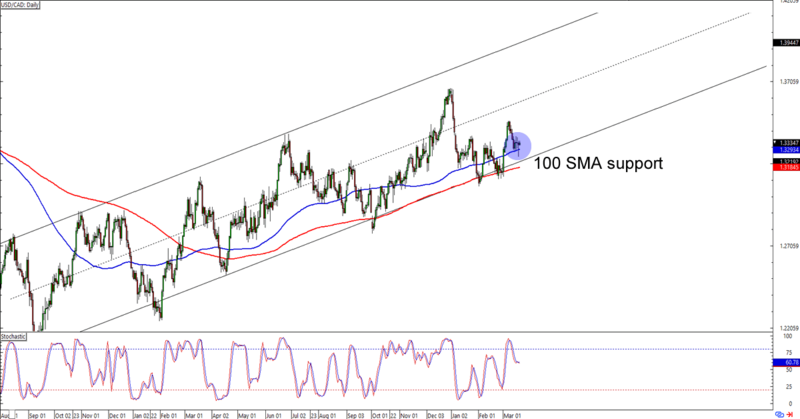 About a week ago we talked about how the 100 and 200 SMAs could serve as support on USD/CAD’s daily time frame. It’s lookin’ like the bulls are favoring the 100 SMA! As you can see, USD/CAD is having trouble trading below the level. Question is, will it lead to more gains for the scrilla? Or are the bears just taking quick breaks before they test the 200 SMA? Watch this one closely in case the 100 SMA support inspires a bullish momentum that would take USD/CAD back up to its 1.3650 highs!